Want to further your creative career? Or are you getting ready to graduate? Here’s your chance to get your work in front of Digital Design industry leaders! 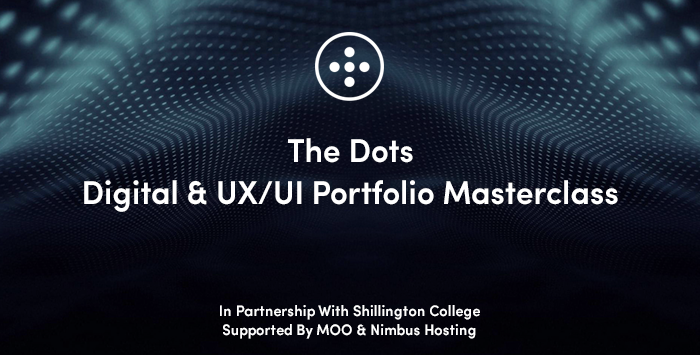 The next event in The Dots Portfolio Masterclass Safari – in partnership with Shillington College – is at Google, focused on the Digital Design & UX/UI industry. Industry Mentors will help select the top 40 applicants to join the Masterclass – so make sure your portfolio on The Dots is up-to-date with your best work (this will be used as your application). Impress the Mentors enough and you’ll be sure to walk away with contacts that could last a lifetime… and maybe even your dream job! Plus, there are more upcoming Portfolio Masterclass events on these dates – find out more here! And need some extra help promoting what you do and networking? You may also be interested in attending a Creative Freelance Bootcamp – based at London Met’s Accelerator. A two-day course covering all you need to know when starting out as a freelancer. Find out more and register your interest here.